The following FAQ on trading video games, consoles, and game accessories provides tips and advise on how to do business trading video games. 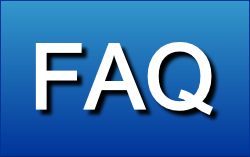 The FAQ is ongoing and not complete, more information will be added on a regular basis. Q: Who can trade video games? A: Anyone really. But it’s good if you have knowledge of video games, and more importantly, knowledge and experience in buying and selling. To be fair this concept is true for trading any kind of product. Q: Do I need any license to trade video games? A: You should check the legislation in your country, it could be different in different countries. For example, you don’t need any special license for trading video games in the United Kingdom, though you do need to register your business for trading any product. In European Union, you may need to register for VAT, if the volume of your annual trade is greater than certain amount, this amount is different in different countries. Q: How to trade video games successfully? A: In a nutshell, you need to buy games cheap and sell them expensive. There are a lot of activities that need to be done for achieving this, but that’s the main objective to keep in mind. More on trading video games, How to Make Business Trading Video Games. Q: Where can I buy wholesale video games? A: Wholesalers and distributors sell wholesale video games. You need to find local distributors in your area, contact them, and open accounts with them. Q: What is the difference between distributor and wholesaler? A: No difference really, may be distributors tend to be bit larger, but their purpose is the same, they sell wholesale quantities to other businesses. Q: Can I buy from distributor in another country? A: Yes, and that’s the good thing about it, that you can try to get a better price from distributors in other countries. If not this, local distributors would tend to inflate their prices. Q: What is drop shipping? A: Some wholesalers provide additional service of delivering your orders directly to your customers. In this way, you don’t have to handle warehousing and stocking goods, the logistics, and delivery to your customers. All you need is to get orders from your customers and forward them to a drop shipper. They would even pack the goods in your package with your logos and signs before delivering. You can read more about dropshipping in the Trade Information section. Q: Do I have to have a registered company? A: Some distributors deal only with registered companies, some do not have such a requirement and may deal also with sole proprietors. In European Union countries, some distributors may also require that a potential customer is VAT registered before the would open an account. You may find out requirements of specific distributors by contacting them. Q: What is digital game code? A: PC games can be sold not only as boxed product but also as a download from Internet. After downloading a game, a buyer needs also a special code for activating the game. Game downloads are available on many websites, however it is the activation code that needs to be purchased, and increasing number of websites make business selling game activation codes. Games can be downloaded either from websites of such retailers or some other websites, for example from Steam, which is the largest online digital distributor of games. Retailers of digital PC games buy activation codes from wholesalers, some wholesalers and distributors sell digital codes wholesale as scans of game codes by e-mail. They use boxed products to obtain the codes. By opening boxes and scanning the activation codes, which can be e-mailed by bulk to their customers, online retailers. You can find list of digital distributors and retailers who sell game codes in our directory. Q: Where can I find information about wholesale prices of video games? A: Wholesale prices of video games are usually not publicly available. Wholesalers and distributors usually share them only with verified customers who have accounts with them. If you like to get wholesale prices of a distributor, you would need to contact them and be able to persuade them that you are a genuine B2B buyer. We research average wholesale prices for some items, you can learn more about our methodology here. Q: What games usually sell better? A: Video games usually sell the best at the time of their release, then eventually their sales drop with time. Some games may stay popular for quite long, some may loose their sales quite quickly. There are many publications of charts of top sellers of video games, and by viewing charts you can learn what particular games are best selling at the moment. We publish charts of 10 top sellers of video games in the News category. Q: Where can I find information and contacts of wholesalers and distributors of video games? A: There are many sources where you can look for suppliers, including search engines in the Internet, business yellow pages, business directories, lists of local associations and chambers of commerce, and many other. Also, you can find a comprehensive list of carefully selected high quality suppliers in our directory of wholesalers and distributors. Q: How best to contact wholesalers and distributors of video games for starting buying from them? A: Our guide Video Game Wholesalers – Part 1 – How to find them and create an account with them, provides good information on this. Q: What is AAA classification for games? A: The tripe AAA classification has been introduced for describing games with the highest budgets for development and promotion. There is obviously a connection between how much money has been spent on a game and how good it appears to be, although it is not always true. Anyway triple A classification is one of the ways to know if a game is worth pre-ordering. Examples of AAA titles are Fifa, GTA, Call of Duty, and others. Games that are not AAA are called “B titles”.